North Korea named a new nominal head of state and a new premier, state media said on Friday, replacing the two senior leaders charged with representing Pyongyang in many international engagements and playing a major role in developing the civilian economy. Choe, born in 1950, was one of the most powerful officials in North Korea as head of the Workers’ Party of Korea Organisation and Guidance Department, and had been director of cultural exchange programmes and vice chair at the Kim Il Sung Youth League in the 1980s, leading youth delegations on goodwill visits to China, Russia, Japan, Libya and Greece, according to database North Korea Leadership Watch. 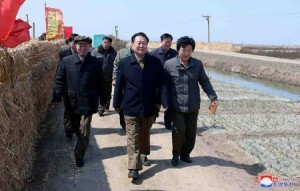 In an expected move, KCNA also reported that Kim Jong Un has been re-elected as chair of the State Affairs Commission.